Aer Lingus has slammed Siptu, accusing the trade union of releasing “wildly inaccurate details” about the process. 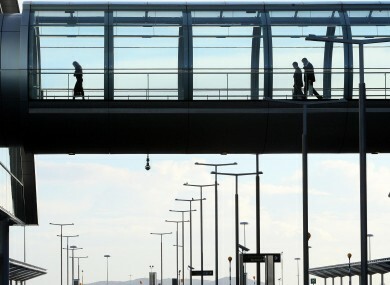 A DISPUTE OVER staff pension funds at Dublin Airport is set to continue as Siptu has rejected an offer by Aer Lingus and DAA, while the airline has accused the trade union of releasing “wildly inaccurate details” to the media in relation to talks. Describing the companies proposals as “derisory”, Siptu organiser Dermot O’Loughlin said the trade union’s two pension committees decided against accepting the offers given “the scale of the pension deficit”. Following a meeting at the Irish Congress of Trade Unions this morning, they have written to the Labour Relations Commission (LRC) seeking its assistance to obtain “a very significant improvment on the monies offered by both companies”. “The pension committees have also asked the LRC to urgently comment on the status of this negotiation process,” added O’Loughlin. Aer Lingus said it regrets Siptu’s decision to release what it called “wildly inaccurate details to the media” in relation to talks aimed at resolving the funding issues within the Irish Airlines Superannuation Scheme. Siptu had claimed that Aer Lingus offered to provide between €9 million and €15 million to resolve the crisis but refused to inject any lump sums unless staff accept very significant productivity measures. The airline denies those figures. DAA also called the union’s statement that the DAA had agreed to provide €33 million without any preconditions and a further €10 million if secondary pension matters are resolved “a misrepresentation”. Workers have previously threatened industrial action over the issue but plans were put on hold to enter last-minute talks with the LRC last week. Email “Row rumbles on as Siptu rejects DAA/Aer Lingus offer”. Feedback on “Row rumbles on as Siptu rejects DAA/Aer Lingus offer”.